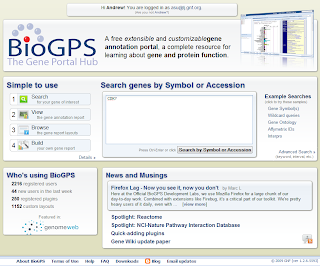 We’re pleased to release the new BioGPS home page. Check it out! We’ve tried to make the new design cleaner, clearer, and more information-rich. This design also opens up some future enhancements we have planned.